Nidra Herbal Sleeping Tablets help you fall into a natural sleep. Nidra Herbal Sleep Aid is Ayurveda Physician formulated. Nidra Herbal Sleeping Tablet is manufactured in the U.S. in FDA approved laboratories under stringent quality controls. Nidra Herbal Sleep Aid is a 100% Natural Ayurvedic Herbal product that supports healthy sleep. Nidra Herbal Sleep Aid also acts as a mood enhancer, leaving you with a sense of well being the following day. Nidra Herbal Sleep Supplement also helps to reduce unnecessary thoughts and has a calming effect. 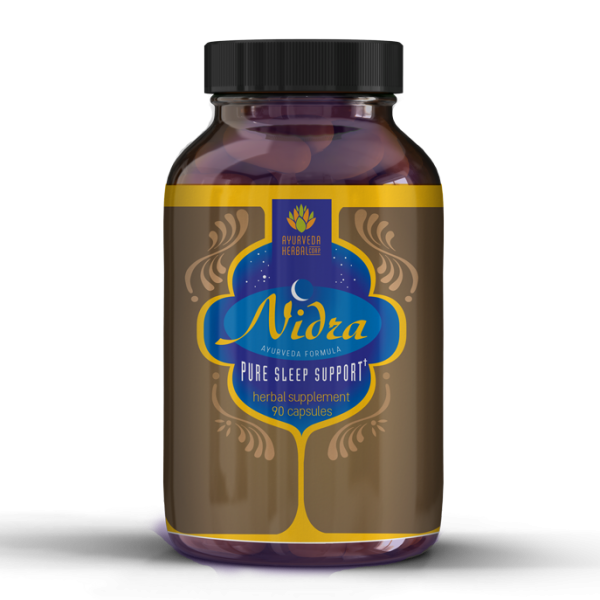 Nidra deep sleep herbal aid is one of the very few natural formulations that is truly “100% All Natural”. There are herbal sleep products that claim to be all natural, but contain Melatonin, 5HTP, or L-Theanine that are manufactured in pharmaceutical laboratories. Everything in Nidra Herbal Sleep Supplement comes from the earth – not a laboratory. 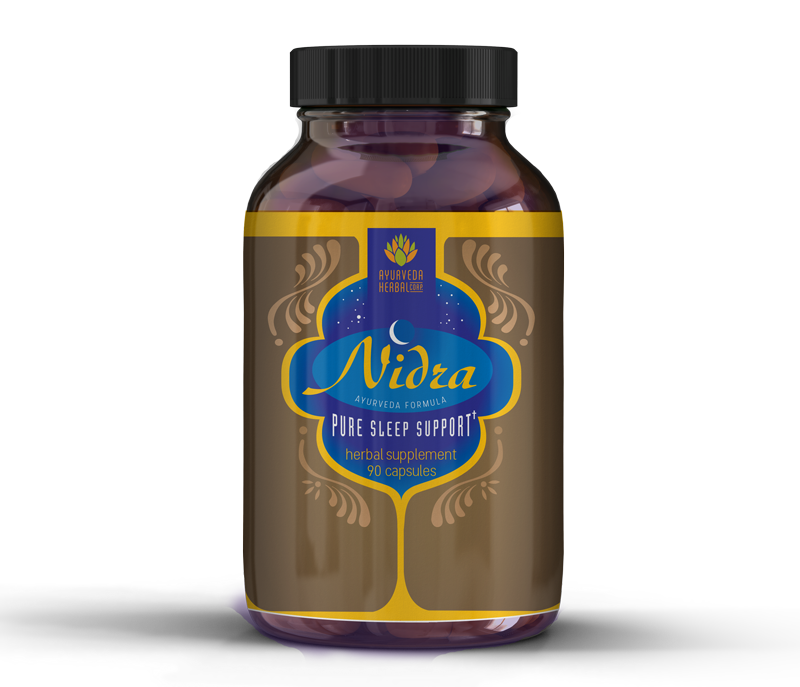 The Nidra Herbal Sleep Supplement formulation of herbal extracts is derived from the ancient practice of Ayurveda. Developed by sages more than 5,000 years ago, Ayurveda (which means the “Science or Knowledge of Life”) is a complete healing system that works to achieve balance in both the body and mind. This holistic system of knowledge, rooted in mysticism and ancient teachings, encompasses meditation, herbal supplements and a balanced life. Ayurveda teaches that certain herbal mixtures or blends can be used to help maintain a person’s physical, mental, and spiritual well being. The Nidra herbal sleep formulation works in unison with some herbs more prominent than others. However, it is the essence of all the herbs working together in a synergistic fashion that achieve the desired results of Pure Sleep Support. Each herb in the Nidra formulation has a purpose, and often multiple purposes. Nidra Herbal Sleep Supplement is formulated by an Ayurvedic doctor and bottled in the U.S. in an FDA approved facility under stringent quality controls.